Perhaps they should try smaller coins. Yep, I think so! They could make a pretty big wish though with a coin that size! That is a sweet wishing well! You're going to CLOG that thing and then NO ONE will get wishes! 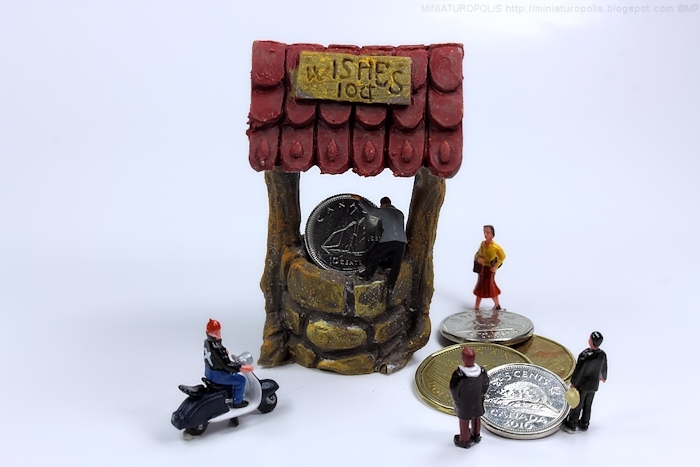 "Ooof, ugh, I wish this coin wasn't so heavy....."
Miniaturopolis, where wealth is truly a burden. LOL! Yes, perhaps they should.